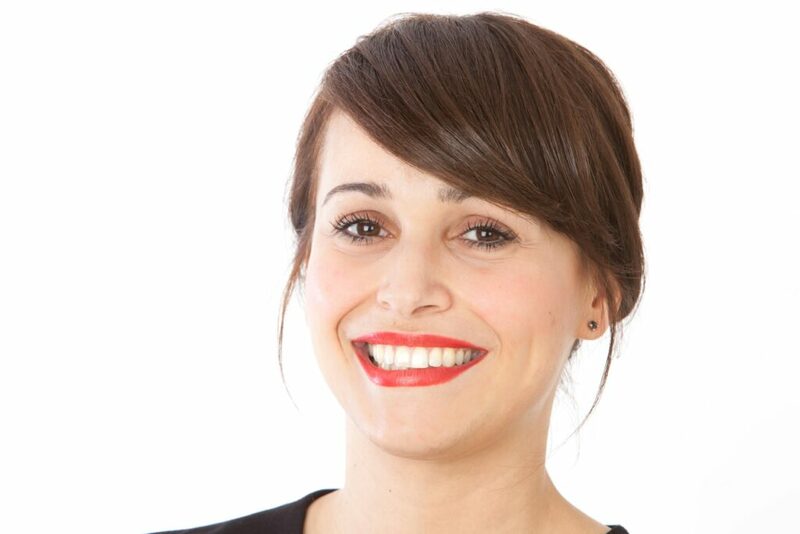 A tech entrepreneur who has won praise from Richard Branson is preparing to embark on the next round of funding. 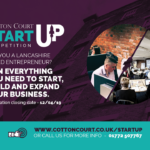 Customer and friend of Cotton Court, Luke Massie, founded Lancashire-based ticketing business Vibe Tickets in 2013 to allow real fans to buy and sell tickets but also make new like-minded friends at the biggest events. 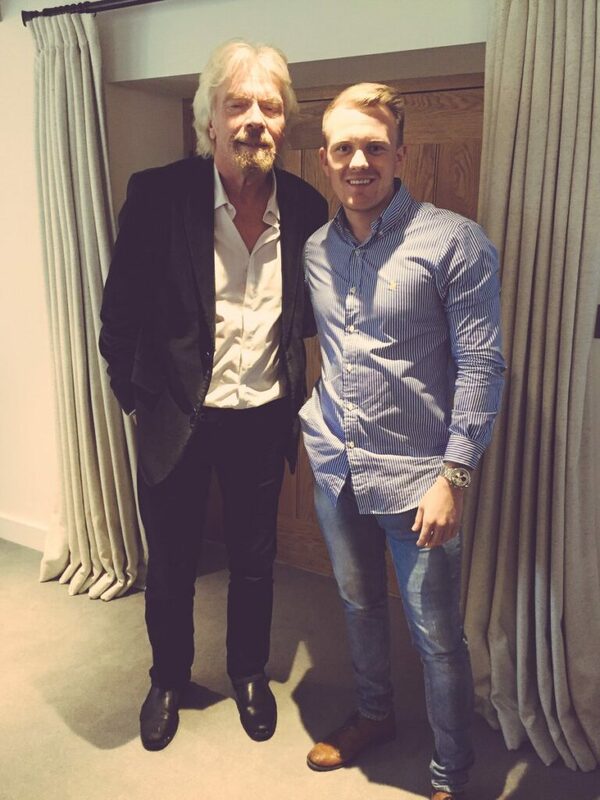 Luke recently made it to the final three in the #VOOM 2016 Virgin Media competition, and spent the day at the Virgin founder’s house, meeting his team of experts and associates. Now he’s been preparing to make 10 per cent of the business available, for a total of £600,000, to investors on Crowdcube, including fans, followers, friends and venture capitalists. The campaign which will launch next Wednesday, the 17th August, will be the third round of funding Vibe has undertaken. They have already raised over £400,000 – including £200,000 from technology entrepreneur Matt Newing – but Massie said the next round of funding would take the business to the “next level”. “Vibe Tickets has 148,000 followers on Twitter from around the world so Crowdcube is a great way for us to raise our next investment,” he said. Luke said spending time with Branson was a life-changing experience. Vibe is about to launch the latest version of their iOS app which hosts a variety of new features, as well as new profile management and a bespoke chat platform, built by their team of in-house developers. Clients Profound are looking for new apprentices & employers! August 10, 2016 By Grace Bennett Comments Off on Clients Profound are looking for new apprentices & employers! Our clients Profound are on the hunt for new IT software, web and telecoms companies to take on new apprentices in Lancashire. 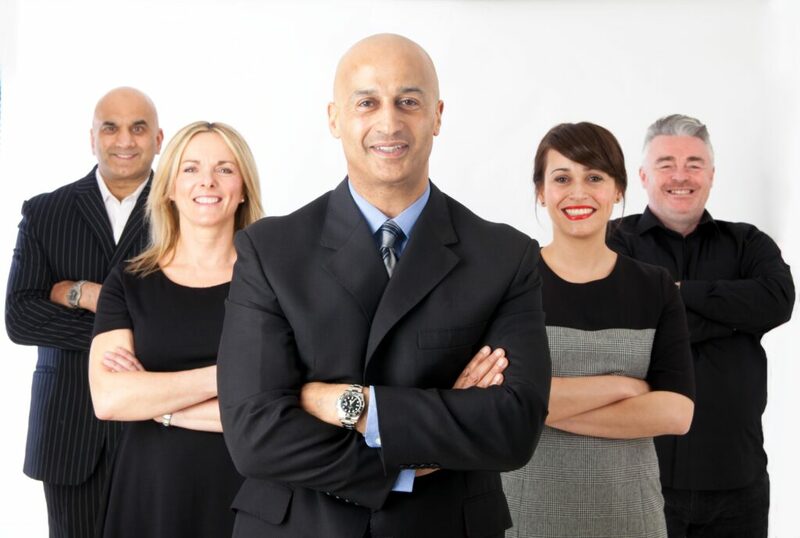 Profound Services is a training provider recognised as a leader in Work Based Learning and employability across the North East and they are now branching out into the North West area. Their mission is to provide outstanding learning and skills serving the needs of their learners, employers and community. They are looking for companies that are willing to take on an IT apprentice and in return you can receive over £1000 in government grants. 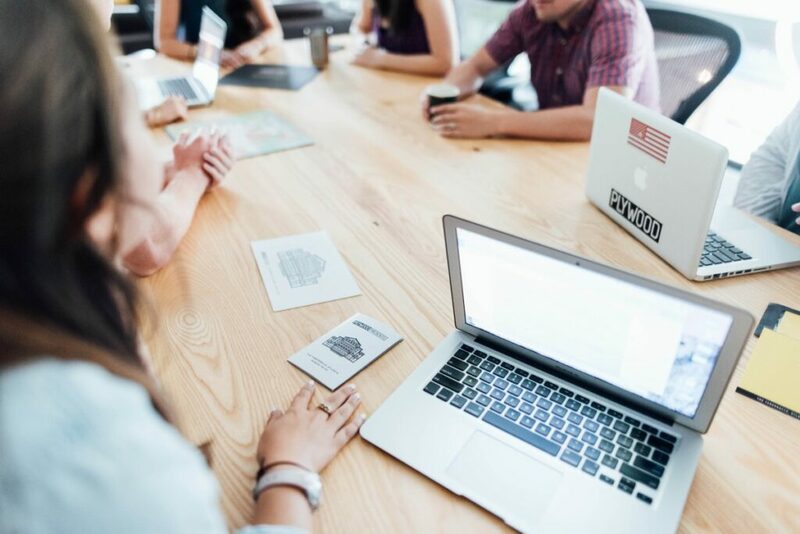 Many companies, particularly those within the technology sector, are finding it tough to recruit people with the particular skills they need to help move their business forward. Taking on an apprentice solves this problem as you can hire someone with the enthusiasm and talent you are looking for and train them up for a specific role. Apprentices may not have any actual workplace experience, but they can offer a fresh perspective and new ideas, which are just as valuable to a growing business. Young people often have strong technology skills which come from using computers and tools such as social media from an early age, and they can use this knowledge to build competitive advantage. One of the biggest opportunities Apprenticeships offer is the chance to build a dedicated, loyal workforce. According to the Department for Business, Innovation and Skills (BIS) Data Service, the majority of apprentices are under 25, with a large number joining companies straight from school, meaning businesses like yours have the chance to mould employees and help them rise through the ranks. The result? Companies have someone who knows their business inside and out at every level. 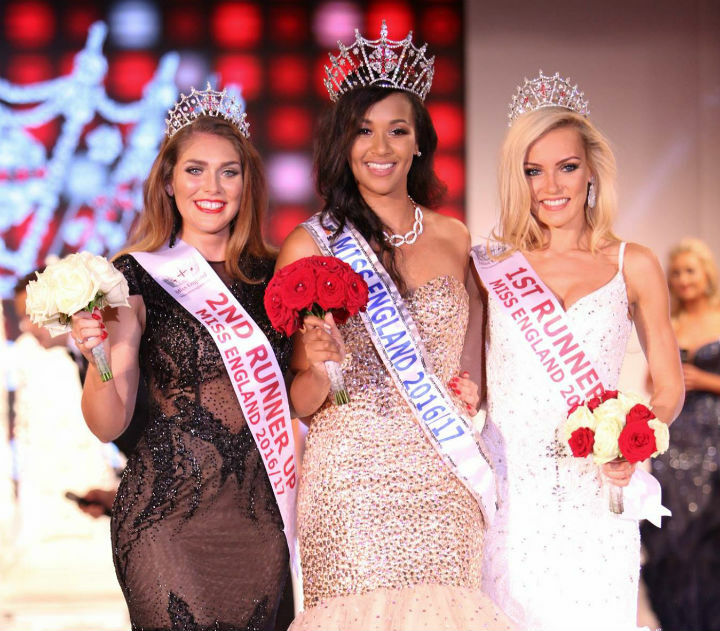 Preston Lass Elizabeth Grant Wins Miss England! August 10, 2016 By Grace Bennett Comments Off on Preston Lass Elizabeth Grant Wins Miss England! Lizzie Grant, friend of Cotton Court and Cotton Studios model has officially won the grand title Miss England! The Miss England contest is not just a beauty contest . You have to be far more than just a pretty face to win the crown. If you are lucky enough to reach the semi or national final, these are some of the rounds that you can expect to participate in. Along with taking part in the traditional catwalk style contest, Miss England contestants are invited to arrange sponsored gifts to be donated to charity ¦ Take part in a creative Eco fashion round , Sports Round ¦ have the option of taking part in a Beach beauty shoot & submit a video of their talent for the Miss England Talent round! Lizzie a long standing model of the studio started off modeling a couple of years ago at our studio sessions and now has progressed so much that she is signed to multiple modelling agencies! Along with the Miss England team Lizzie also supports the charity Beauty with a Purpose and recently hosted an event at Glovers and raised a staggering £1000! Supporting her recent win she is also hosting another event this time supporting a local charity Derian House a black and white party again at Glovers. Catch the reigning Miss England at Glovers on 20th August from 7pm and help support a fantastic local charity! 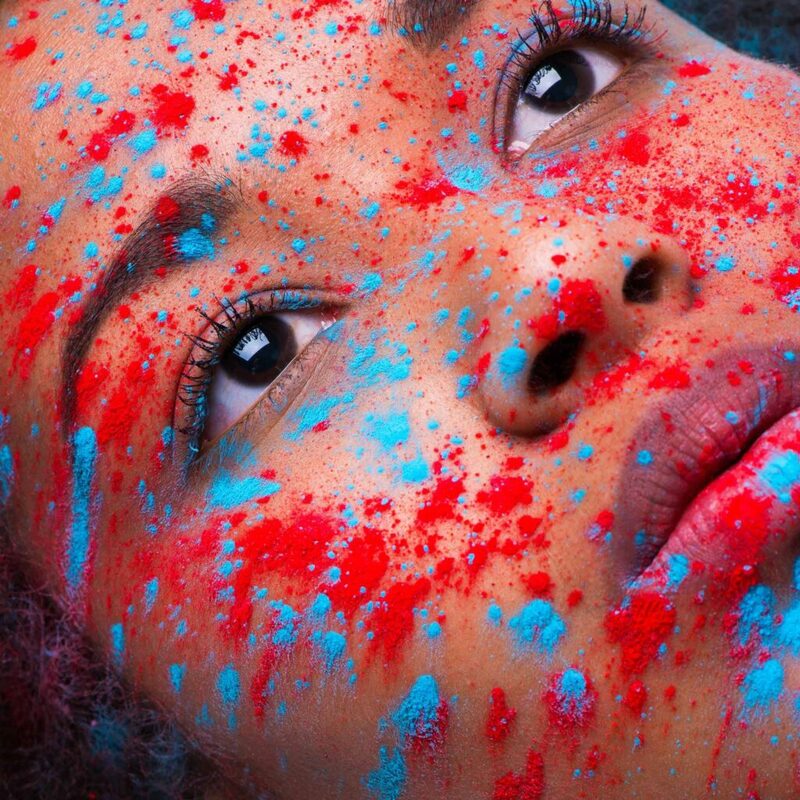 If you’re also interested in modelling and fancy yourself the next potential Miss England come down and model at our camera club and get great images for your portfolio for free! Email the studio on hello@cottoncourt.co.uk for more information! The annual Love Food Love Preston promotion from Preston BID was launched on Saturday 30th July. 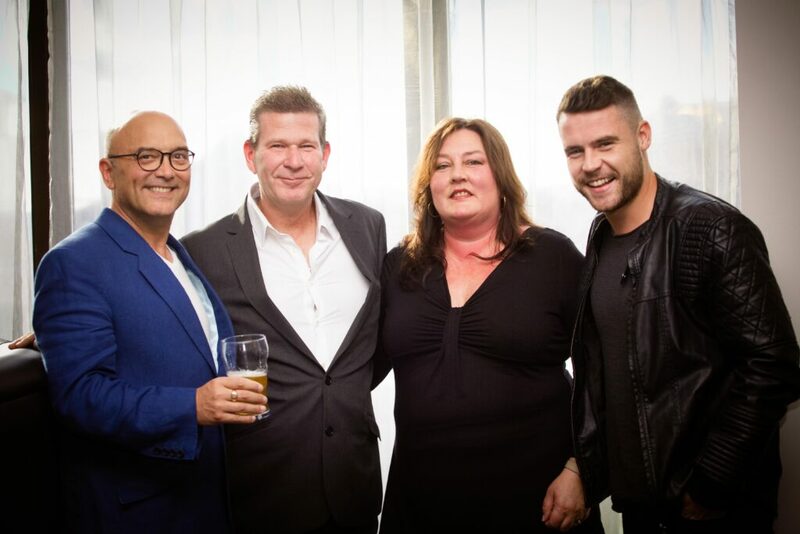 The month-long campaign, to highlight Preston’s food and restaurant offer, began with the Lancashire Market taking place on Friargate, followed later that evening by a ‘Dine with the Stars’ event. Firms trading at the event included, Beechs Chocolates, a company with almost 100 year’s heritage in Preston. The Lancashire Cookbook, a new publication showcasing the best recipes and places to eat in the county, was launched by BBC Radio Lancashire’s John Gillmore at the Market; featuring a section focussing on Preston’s growing and vibrant restaurant offer. Friargate came alive with the sights, smells, colours and sounds of a street-market as families from across the county made Preston their ‘go to’ destination. 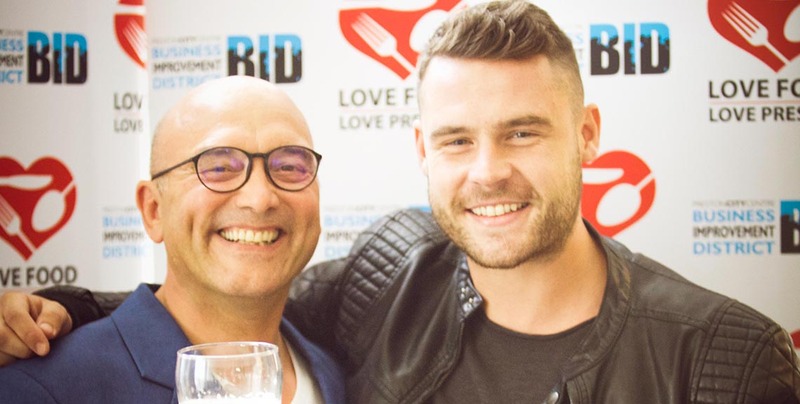 Later that evening, MasterChef’s Gregg Wallace and Emmerdale Actor Danny Miller visited eight Preston restaurants to enjoy meeting their customers and sampling the city’s tasty food offering, guests were ‘delighted’ to have the opportunity to meet and talk to the television personalities. Alison Hedges from Lytham travelled to Preston specifically in the hope she’d meet one of the special guests; saying ‘I think it’s a great idea to do this, it’s brilliant. I love eating out and it’s been a while since I’ve eaten out in Preston, it’s changed so much and I would safely say I’ll be back very soon’. 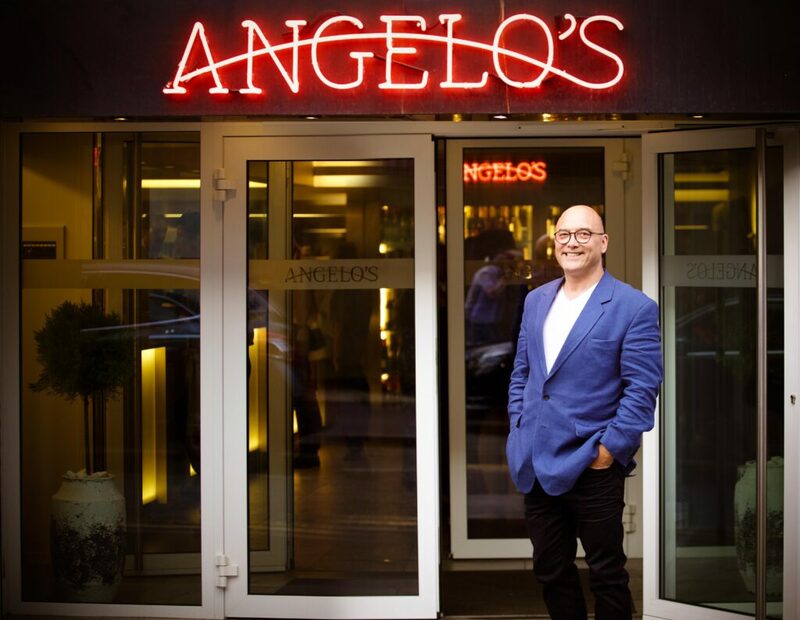 Gregg, a firm favourite on our TV screens said: “I thoroughly enjoyed the food and company in Preston, there are some great restaurants here; it’s one of the friendliest places I have ever visited and the people are just lovely’. Mark Whittle from Preston BID said: “The Lancashire Market has been a great event for the city, since it began back in 2010; it has attracted hundreds of thousands of people, many from outside of the locality. The events are organised to attract additional customers to the city centre. Whilst providing a great day for visitors, events such as these are vital to building relationships with customers who will support city centre businesses; it’s their investment that funds our work’. Until 31st August people are being encouraged to try eating out in Preston city centre more often by taking advantage of specially created ‘Love Food Love Preston’ offers. Simply visit www.LoveFoodLovePreston.co.uk and choose your special offer! 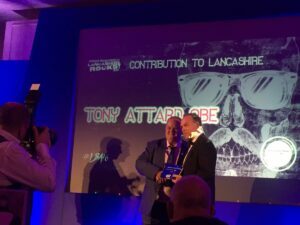 Downtown in Business Crowns Lancashire’s Elite! June 19, 2016 By Admin Comments Off on Downtown in Business Crowns Lancashire’s Elite! 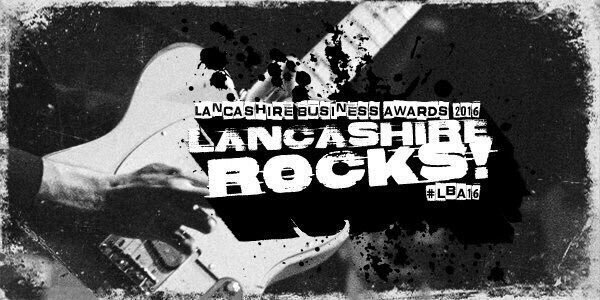 On Thursday 16th June 2016, Downtown Lancashire in Business celebrated the best in the business at the annual Lancashire Business Awards. Rob presented Forbes solicitors with best legal practice of the year award at glittering Downtown in Business awards. The awards were a great excuse for many hard working individuals and businesses to let their hair down and enjoy a night of celebration. Awards given away on the night ranged from ‘Networker of the year’ to ‘Business Personality of the Year’. 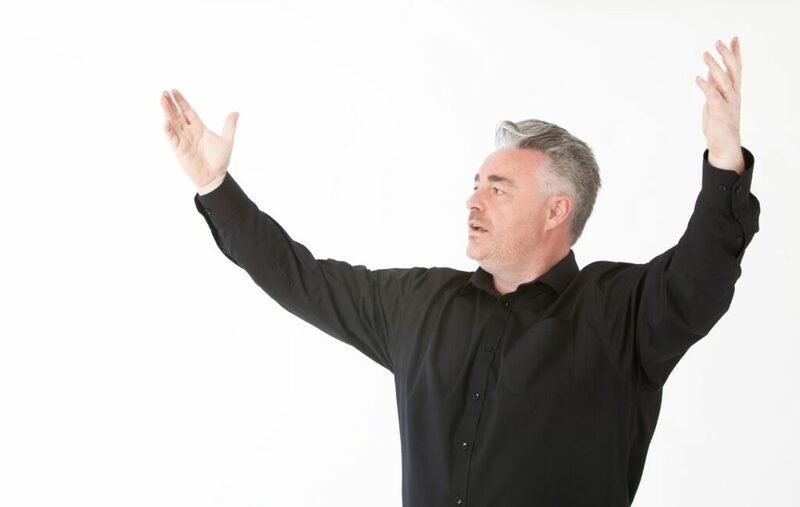 Vibe Tickets to pitch to Branson for slice of £1m prize! 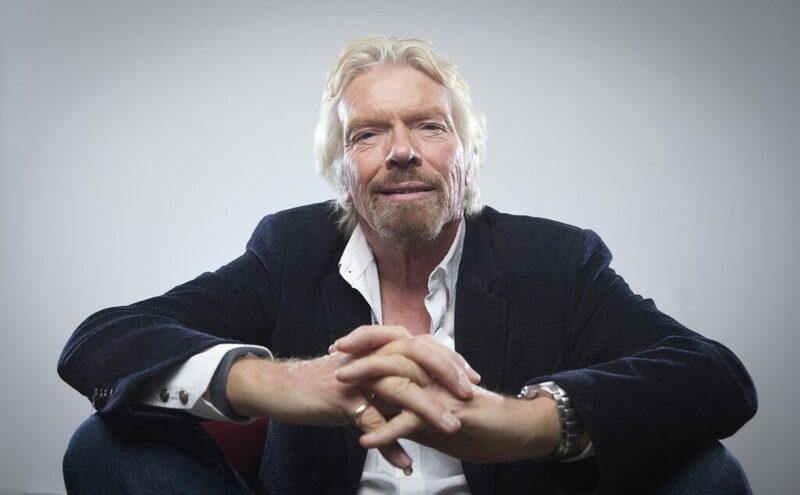 June 16, 2016 By Admin Comments Off on Vibe Tickets to pitch to Branson for slice of £1m prize! After an extensive nationwide search, 3,000 entries, half a million votes and one Guinness World Record title, Lancaster start-up, Vibe Tickets, has made it through to the finale of the Virgin Media Business ‘VOOM 2016’ competition. Vibe Tickets is an ethical marketplace that connects fans so they can buy and sell tickets at face value. It allows users to transact on their own terms, cuts out the middle man and ensures ticket prices aren’t over inflated. The tech company was founded by 23 year old Luke Massie who saw that fans were being exploited by secondary ticket sellers increasing the ticket value, so built a platform that would challenge the industry giants and provide users with fair prices. 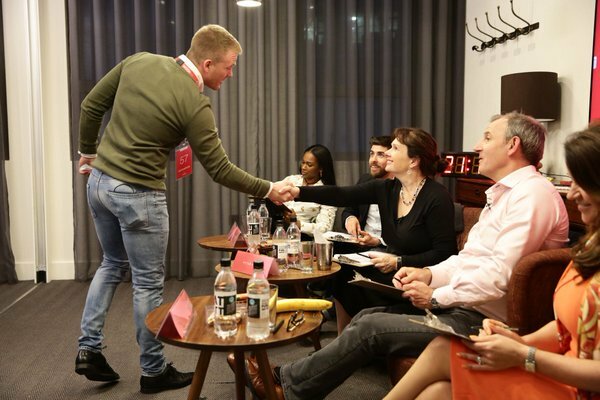 Luke will be pitching to Richard Branson and a panel of business heavyweights including Tyra Banks, Sara Blakely Marcus Butler and Virgin Media Business Managing Director, Peter Kelly, at the live finale on the 28th of June. Vibe Tickets will go head to head with two other businesses in the Start-up category for a slice of the £1million prize fund. 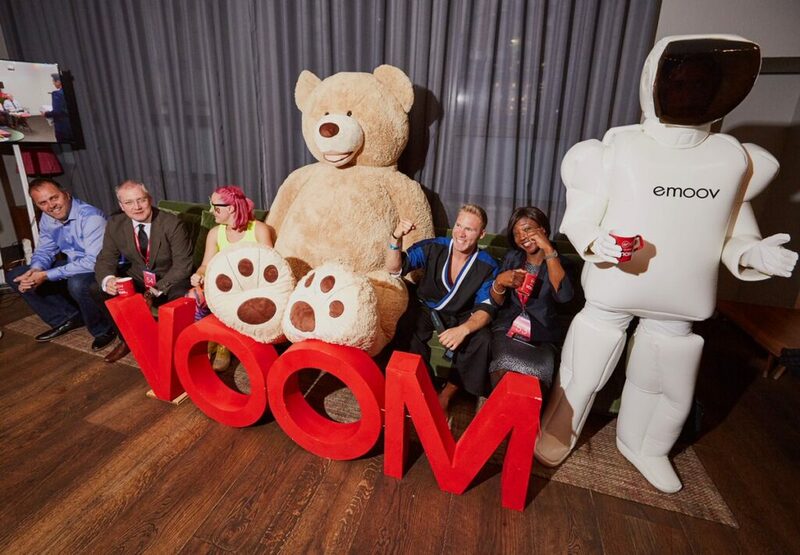 ‘VOOM 2016’ – run by the ultrafast business broadband company – is hunting for the UK and Ireland’s most exciting and innovative businesses. A winner will be chosen from each of the two categories, ‘Start-up’ and ‘Grow’. 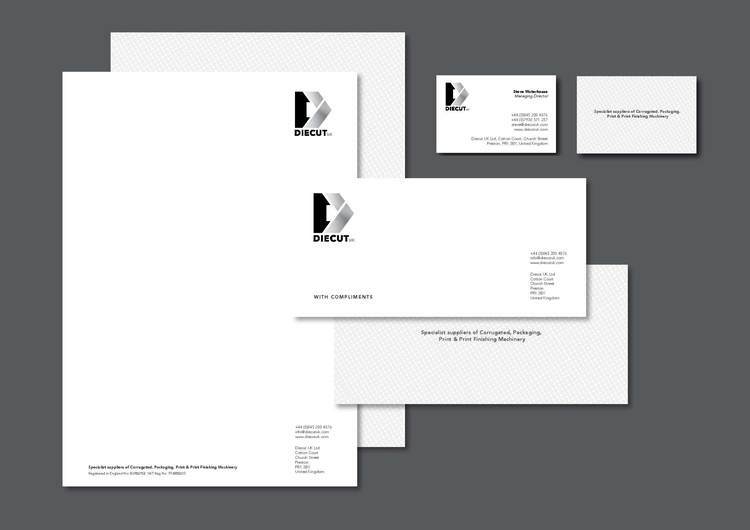 Guest Blog: Bird Help Fellow Clients DieCut UK Rebrand! June 10, 2016 By Admin Comments Off on Guest Blog: Bird Help Fellow Clients DieCut UK Rebrand! Diecut UK are are global company supplying specialist machinery to the print industry, a real forward thinking company who are constantly looking for ways to improve the machines they supply making the industry safer, and the machines faster, and as a result their clients more productive. 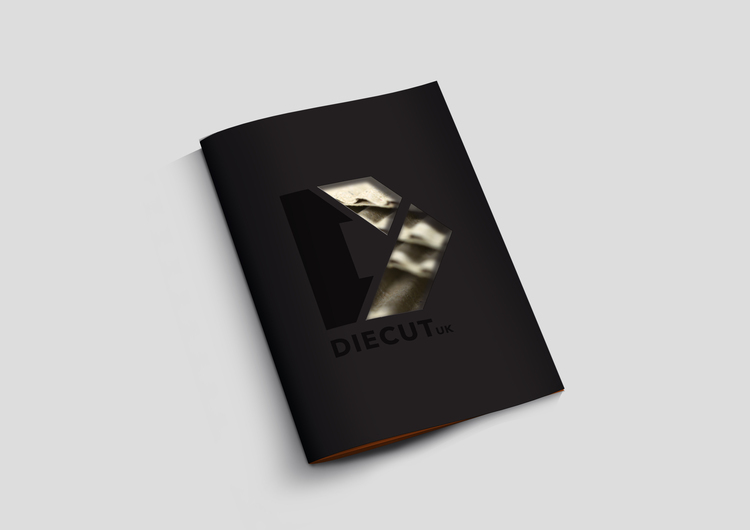 Diecut’s brand had lost it’s way over the year, and no longer reflected the dynamic, energetic and passionate company they’d become today. As leaders in their field, they needed a brand that reflected this. 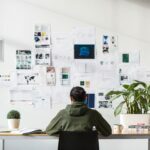 We wanted to create something which was as dynamic as they are, something which reflected their passion for change and improvements, something that linked with what they do, and showed their pride at being a UK based company. 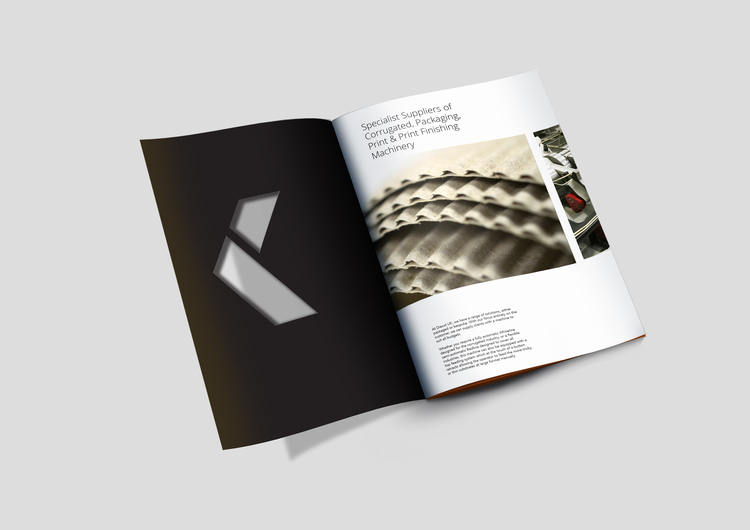 The brand was then rolled out across their website, internal comms and marketing literature. Well the results are in, and we are SO pleased to announce the news that Vibe Tickets made it through to the SEMI-FINALS of the Virgin Business #VOOM campaign! 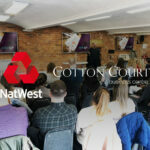 They took part in the pitchathon the other week where we were part of a Guiness World Record which took place, and they were so pleased our pitch impressed the judges. So for everyone that has supported them, They wanted to thank you for taking the time to vote for Vibe and spreading their message, and they hope for your continue to support in their journey to #PitchToRich! Cotton Studios Welcomes Gavin To Their Growing Team! May 26, 2016 By Admin Comments Off on Cotton Studios Welcomes Gavin To Their Growing Team! Gavin has been taking photographs since he was a teenager, but became a full time professional photographer about 5 years ago, and for the last 2 years he ran the photo studio at Ribby Hall Village. He loves taking photos of happy people with natural smiles whether it be in the studio or at weddings which he cover throughout the North West. He can also help you if you need some commercial work either for your website, or just want to improve your profile pictures. Have a look at some of his images below! The results are in; 128,520 votes have been cast in Preston BID’s ‘Smiles Better Awards’, which recognise outstanding businesses and people in Preston city centre. The awards, sponsored by Fishergate Shopping Centre and St. George’s Shopping centre, highlight the achievements of owners and employees of city centre businesses, and this year attracted more than 165 nominations from 142 businesses. There are fifteen prizes up for grabs, including Independent Retailer of the Year, Multiple Retailer of the Year, Customer Service Champion and Restaurant of the Year. Selected categories will now undergo mystery shopping visits, in order to find the outright winners. The highest award, ‘the Special Recognition Award’ which cannot be voted for, will be awarded to someone who’s made a significant contribution to the city. Last year the honour went to Friargate florist, Margaret Mason, who’s operated a business in Preston for almost fifty-five years. Upon winning the special recognition awards, Margaret, who was visibly moved said: ‘I am speechless, I didn’t expect to win but I am thrilled. It’s a team effort and I thank all my team for all their hard work, it’s a lovely thing to have been awarded and I am very, very grateful’. Mark Whittle, from Preston BID which organises the competition said: ‘The businesses in Preston city centre consistently offer outstanding service, and the ‘Smiles Better’ awards are our way honouring these people and organisations. It’s their efforts that keep people returning to our city centre time and time again, and for that, we thank them’. Keith Mitchell, manager of the Fishergate Shopping Centre, said: “The large amount of votes cast is a tribute to all the great customer-focused work being carried out by staff in Preston’s shops, restaurants, bars and cafes. 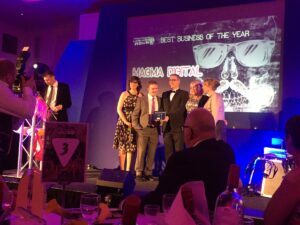 “This positive response to the awards from the general public again highlights Preston’s growing and deserved reputation as a vibrant shopping and visitor destination that delivers fantastic levels of service. General manager at rSt George’s Shopping Cente, Andrew Stringer, said: “The Smiles Better Awards are a great way to recognise the hard work and efforts of the city’s customer services teams. The prizes will be handed out at an invitation only ceremony on Tuesday 21st June, hosted by Radio’s John Gillmore and Danny Bee.